Research papers on jihad look at the religious phenomena and explain its significance in society. Custom written research papers on jihad can be written to any specification you wish. The word jihad is an Arabic term that describes the religious duties of Muslims. The word literally translates as “struggle” or “resisting,” and has therefore taken on expanding significance in its use by Islamic terrorists, referring to the continuing campaign against the West. In terms of religion, jihad appears in the Quran, where it means fighting for the way of Allah. From the earliest days of Islam, the term jihad was used as an obligation of all Muslims to connote warfare against unbelievers. More spiritual connotations of the word emerged following the initial expansion of Islamic power from the Arabian Peninsula. When Islam could no longer physically expand its empire, the term became used to reflect the inner, moral struggle of the individual. 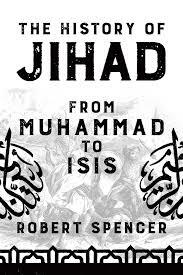 Modern strains of fundamentalist Islam have taken up usage of the term jihad. The Muslim Brotherhood, founded in Egypt in the early 20th century, enshrined the term in their creed, and called for jihad against the newly formed state of Israel in 1949. In the 1980s, the Muslim Brotherhood opened up the possibility of waging jihad against unbelievers in the modern world. Terrorist leaders, such as Osama bin Laden, adopted this usage of the term. However, many Muslims prefer to continue to define jihad as the struggle to build a good society. As is true for the word jihad, the word terrorism is defined differently by different people. The United States government uses a definition that views terrorism as including an unlawful use or threat of the use of violence against people or things to bring about intimidating effects and to allow specific agendas to be furthered. Other definitions acknowledge the effects of terrorism on the people involved, which includes psychological damage. Terrorism takes many victims as those who carry it out attempt to change society, behaviors, or political conditions. Clearly, there is a long and complicated history associated with the jihad, which includes both spiritual and political features. In analyzing terrorism and jihad in light of a personal Christian world view, it seems that there may well be no solution to this situation. In Christianity, it is understood that suffering can be a spiritual requirement, and that Christ died so that the world could be saved. With these beliefs in mind, it is easy to see how the Islamist extremists also believe that suffering and death can be a part of what is required of them to carry out God’s (or Allah’s) will for them in their lives. Furthermore, it seems that spiritual beliefs are very difficult to change in extremely faithful people. If these Muslim jihadists truly believe that they are acting in God’s will by engaging in terrorism, it would be very difficult for anyone, let alone outside parties and non-Muslims, to convince them otherwise. There are few options available to resolve the jihad. There are many changes that would need to be made before the overall attitudes and beliefs of the jihadists could become peaceful and accepting. It would seem that these changes would need to be made from within, so that respected leaders would guide their people toward an anti-jihad position. No suggestions against terrorism or jihad from Westerners and non-Muslims will have an effect on this scenario, since the Muslims involved in this holy war are inclined to view Americans and other non-Muslims and untrustworthy infidels who do not deserve respect. Unfortunately, the popular political reaction to jihadist-induced violence has generally been further violence. It is not difficult to see that the leaders of the West are faced with an incredible challenge when attempting to diffuse or discontinue the terrorist threat stemming from the jihad. Sometimes, it seems like greater and more extreme acts of violence are the only things that can halt terrorist actions, if only temporarily. From a Christian world view, this dealing with violence through engaging in more violence is a detestable and evil activity. But when considering the alternative, one understands that innocent people must be given protection against terrorist threats. Again and again, it has been proven that the jihadists are not a group of people who are willing to sit down and discuss things openly and with civility. They are extreme in their beliefs and opinions, and the American government has been made to respond with force in order to prevent further harm from coming to its citizens. Even in the Bible, great battles are described and some of the Christian religion’s most revered and favored historical figures were leaders in wars against oppositional forces. As research from Paper Masters describes, many choose to focus on the concept of jihad as being a “matter of spiritual striving” and to accept the description of Islam as a “religion of peace”. They look at similarities between Islam, the Jewish tradition, and the Christian religion, and try to see how there are commonalities both in history and beliefs. They point to Christian and Jewish sources of the Koran, and alternate interpretations of the jihad that are less focused on holy war or violence. Obviously, there are Muslim extremists who vehemently deny all of these similarities or efforts, and who interpret Allah’s scriptural call to holy war literally. In developing alternative ways for resolving or reducing the conflict between jihadists and the rest of the world, it seems that politicians and peacemakers will need to move their focus toward these common characteristics. By asserting the brotherhood of all people and the shared histories between the very religions the extremists oppose, the jihadists may eventually be able to see that another option exists. This option would include working together to engage in a constructive dialog about how the Islamist world’s agenda can be furthered without the need for acts of violence. By beginning the conversations from a place of similarity instead of difference, there could be an increased sense of unity and a new capacity for collaboration. All people—not just Jews, Christians, and Muslims—desire to have their opinions and needs acknowledged and to have a proper place for themselves in the world. The Muslim extremists who wage this holy war are people who feel that they have not had their needs acknowledged nor their opinions heard. They feel disenchanted with the world around them and find that the only way their wants and needs will be noticed is through hurting other people or groups of people. The West must respect these people and their spiritual piety, and understand that the extremists are operating from a belief system that validates their engagement in violence against non-Muslims. Only through understanding and cooperation in efforts of revealing our sameness will the jihad be lessened and its effects reduced. Death - Death Research Papers discuss the different aspects of death that can be applied to college classes and research. Al-Qaeda History - It is a network of an army and Sunni Muslim movement that calls for strict interpretation of sharia law and in turn calls for Jihad. Black Hand - Founded in 1930 by Sheikh Izz al-Din al-Qassam, the group proclaimed jihad against Jewish settlements and British military installations. Ayatollah Khomeini - The US, it would seem, was powerless in the face of jihad. Presence of ISIS in the U.S. - Accurately assessing ISIS' presence in the United States of America is a challenge. Biography of Muhammad - Biography of Muhammad research papers report on the life of the most famous Prophet of Islam. Islamic Caliphate - Islamic Caliphate research papers look into a nation state, comprised of all Muslims, led by a direct successor to the Prophet Mohammad. Religious Tolerance - Religious tolerance is an individualized sense of acceptance of alternate beliefs, even if one does not practice them oneself. Abu Bakr - After Mohammad declared that he was the Messenger of God, Abu Bakr became one of the earliest converts to Islam, bringing many others into the new faith. Muslim World - Muslim World research papers academically compare and contrast the Muslim World to the Christian World. Order a research paper on the Muslim world from Paper Masters. Islamic Culture - Islamic Culture research papers discuss the business aspect of the Islamic culture and how Muslim societies are different from each other. September 11, 2001 - September 11, 2001 research papers discuss the day when a series of coordinated terrorist attacks against the United States took place. Paper Masters writes custom research papers on Jihad and examine the Arabic term that describes the religious duties of Muslims.